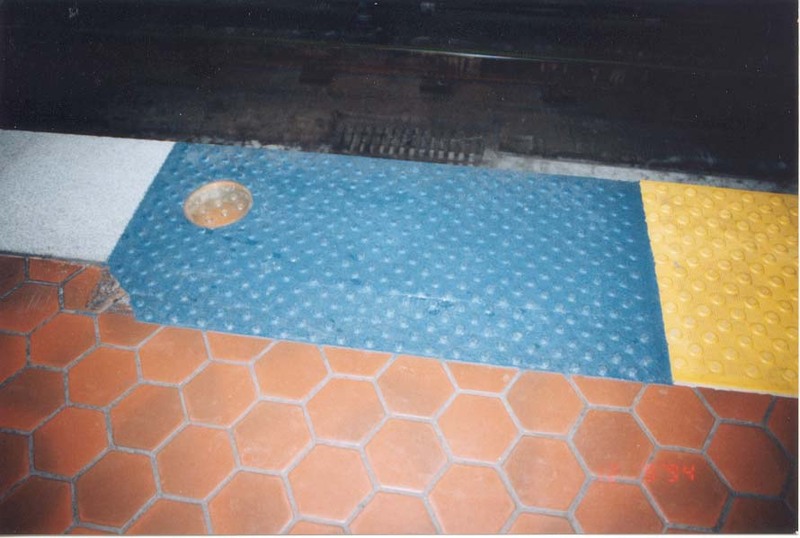 SAFTI-TRAX™ is a unique new system designed specifically for compliance with the Americans with Disabilities Act (ADA) requirement for a tactile warning system for the blind and visually impaired. 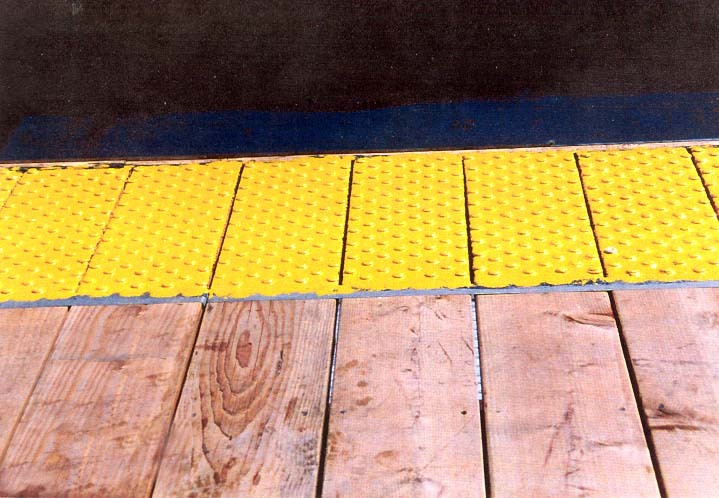 SAFTI-TRAX™ is assembled by individuals with disabilities. 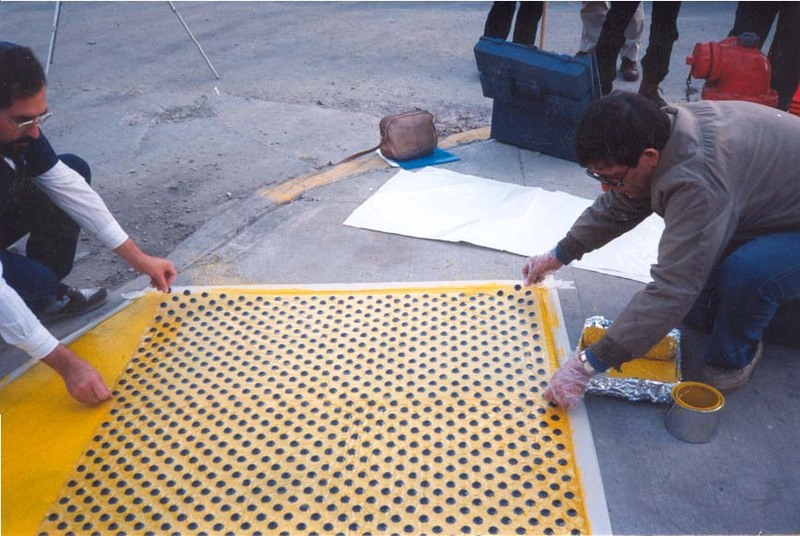 SAFTI-TRAX™ is a permanent system that is applied directly to clean dry surfaces without the need of specialized labor or machinery. 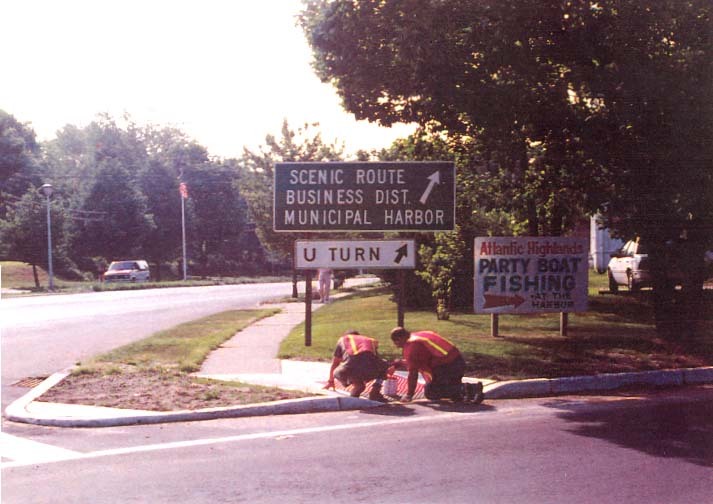 It is therefore not labor intensive and not costly to apply. 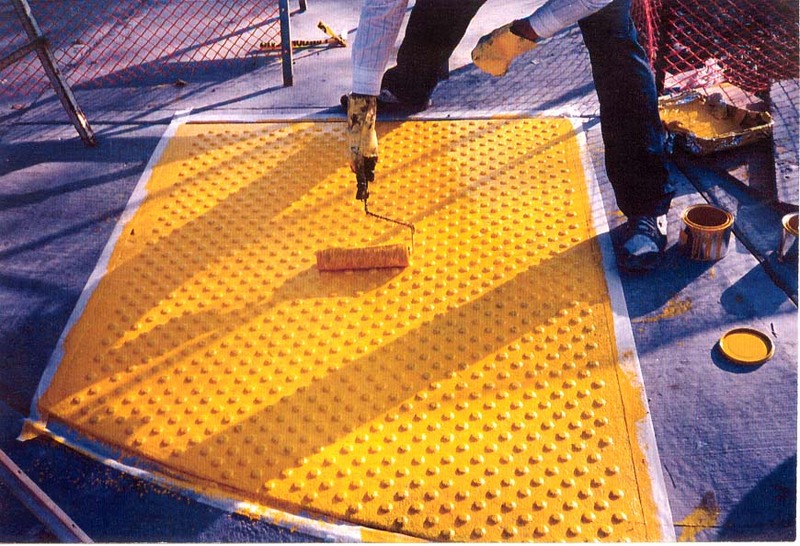 SAFTI-TRAX™ incorporates resilient rubber domes, made exclusively for COTE-L Industries, with an overcoating of our new and unique DURABAK™, a one-part, non-slip, totally flexible polyurethane safety coating. 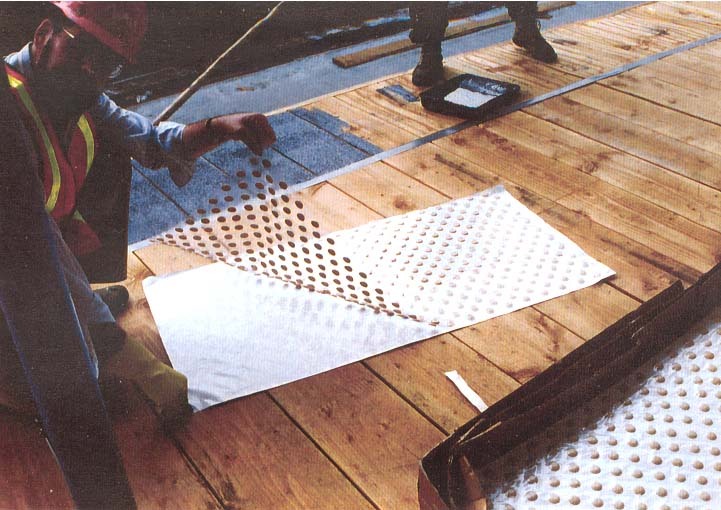 SAFTI-TRAX™ enjoys all the unique characteristics of its major component, DURABAK™. 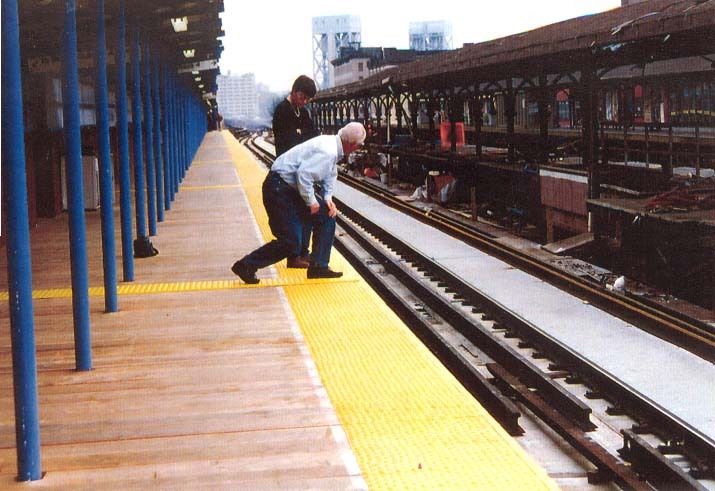 It is extremely durable, waterproof, repairable, and anticorrosive. 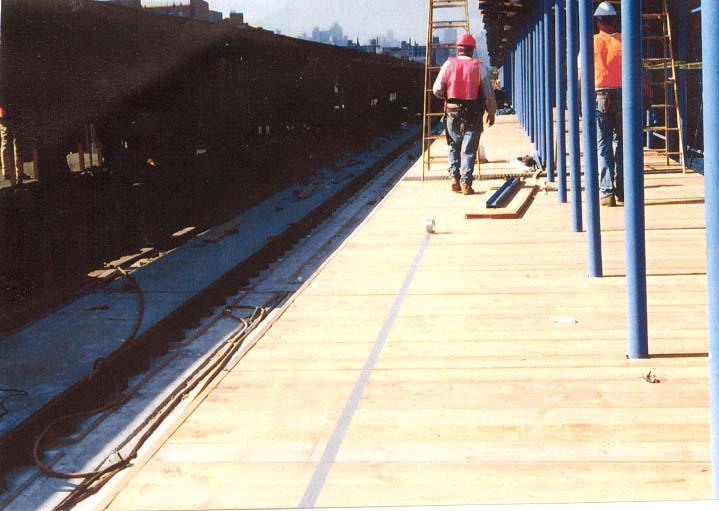 It bonds to concrete, wood, primed or sound-painted metal surfaces, fiber glass, and most other surfaces. 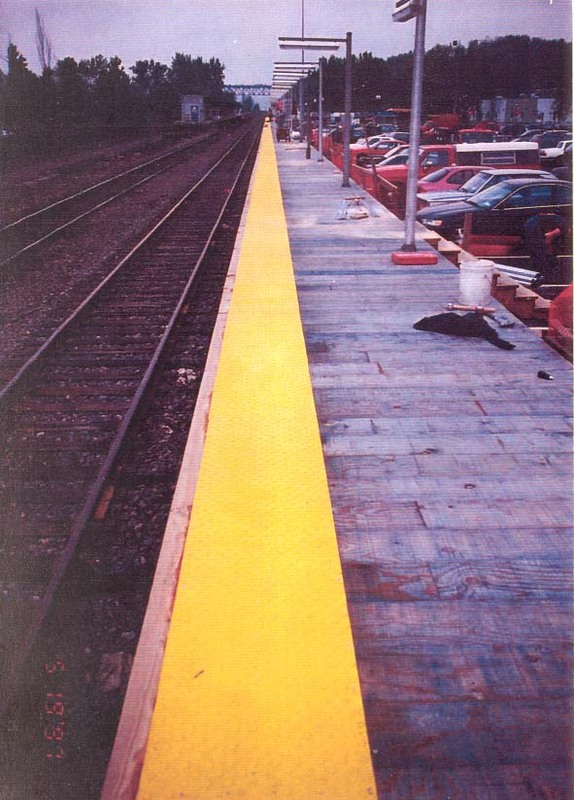 And DURABAK™ comes in a wide range of colors. 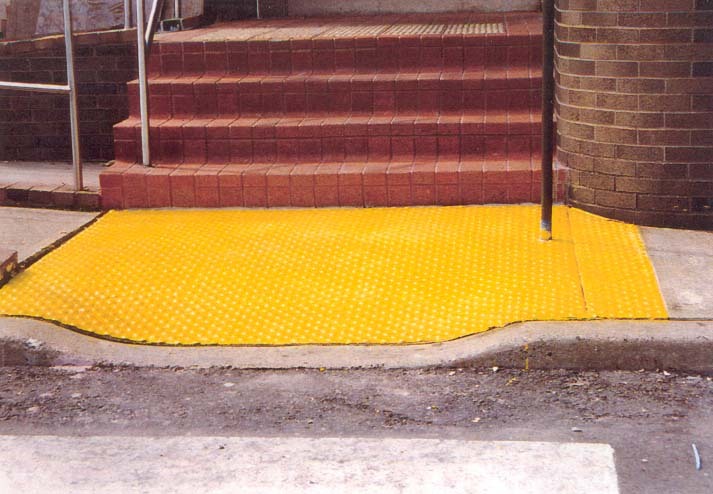 SAFTI-TRAX™ will conform to any surface irregularity, facilitating a virtually faultless application. 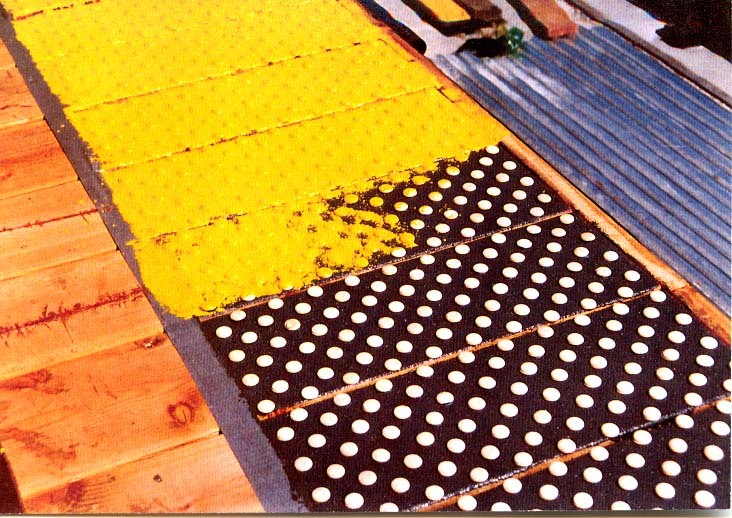 SAFTI-TRAX™ is not only flexible, but resilient, as specifically required by the ADA. 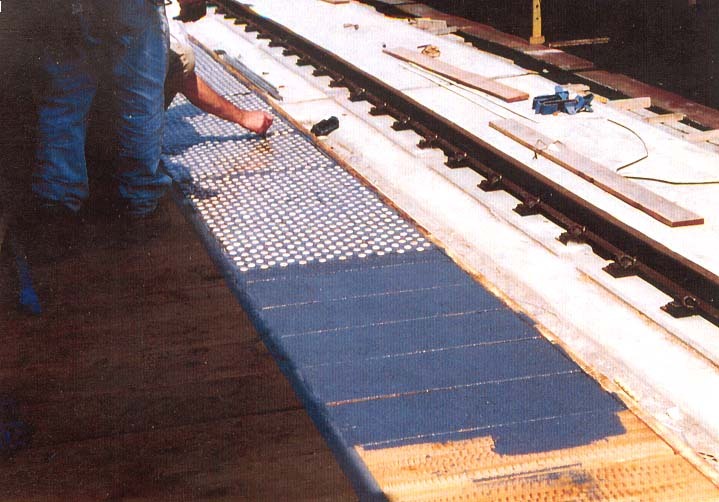 SAFTI-TRAX™ is easy to clean and easy to repair. 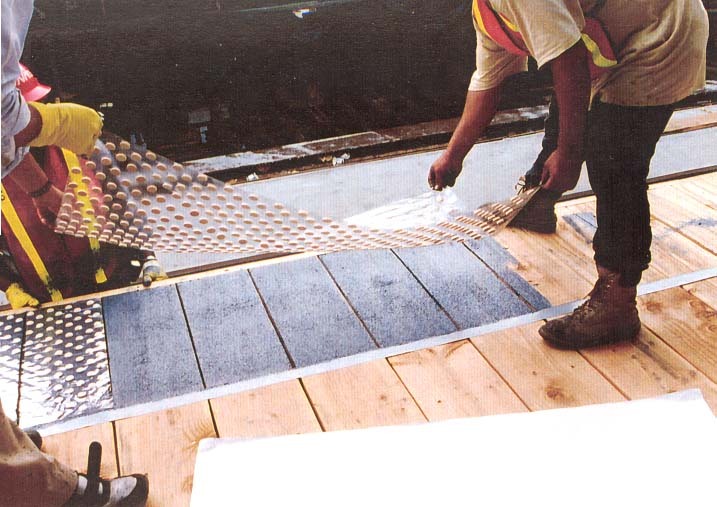 The total cost per square foot of SAFTI-TRAX™ with DURABAK™, for materials and labor, is significantly less than other products because of its ease of application. 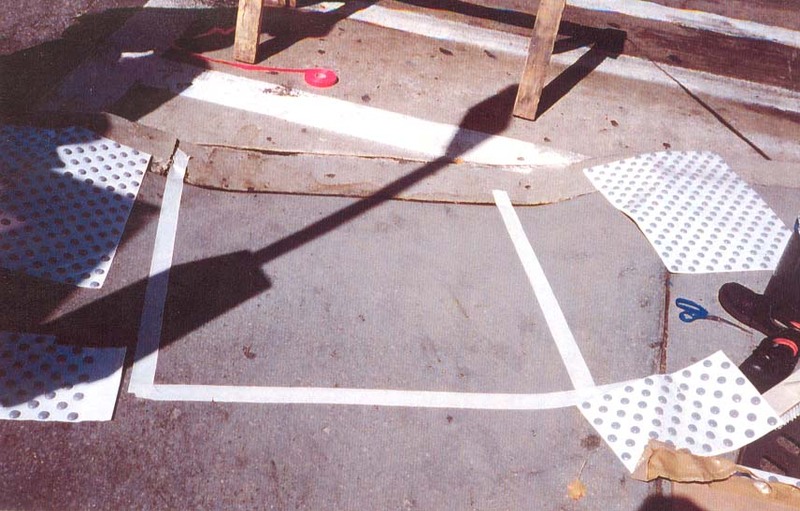 No significant preparation of the surface area is necessary other than proper cleaning.